The classic 90s series is reportedly close to been sold to an online streaming service for a hefty price tag. We could all soon be enjoying the luxury of watching our favourite episodes of ‘Seinfeld’ whenever we wish, as the series is reportedly close to inking a deal with an online streaming service. According to the Wall Street Journal, Sony Pictures Television is in advanced talks to sell reruns of the series to an online video service, with a deal possibly being reached within a matter of weeks. Hulu, Amazon and Yahoo are said to be among the bidders for the sitcom, while Netflix has apparently passed after taking a “hard look at the series last year”. But whoever decides to purchase 'the show about nothing’ wont be getting a bargain, as sources report the deal could fetch a price well north of half a million dollars per episode. 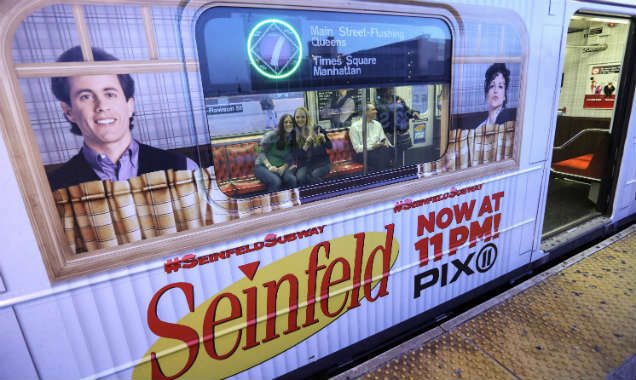 Continue reading: Will 'Seinfeld' Soon Be Coming To An Internet Streaming Service? One Direction and Jerry Seinfeld turned up on NBC's 'The Tonight Show' earlier this week to make for a memorable episode. Comedian and TV presenter Jimmy Fallon has had a couple of very special guests on ‘The Tonight Show’ in the run-up to Christmas. On Monday he sang an adorable festive song with One Direction before hosting the boyband on his show the following evening. In the episode shown on the night before Christmas Eve (Tuesday 23 December), the British hitmakers were guests on the show and Fallon broadcast the clip they had previously recorded, a cover version of ‘Santa Claus is Coming to Town’ performed on classroom instruments and be-decked in some pretty nerdy-looking Christmas jumpers. Enough to induce festive feelings into even the hardest of hearts! Gabrielle Union greets Chris Rock on the red carpet at the New York premiere of their new movie 'Top Five', held at the Ziegfeld Theater. The movie has been written and directed by Rock, who stars as a comedian trying to become an actor. 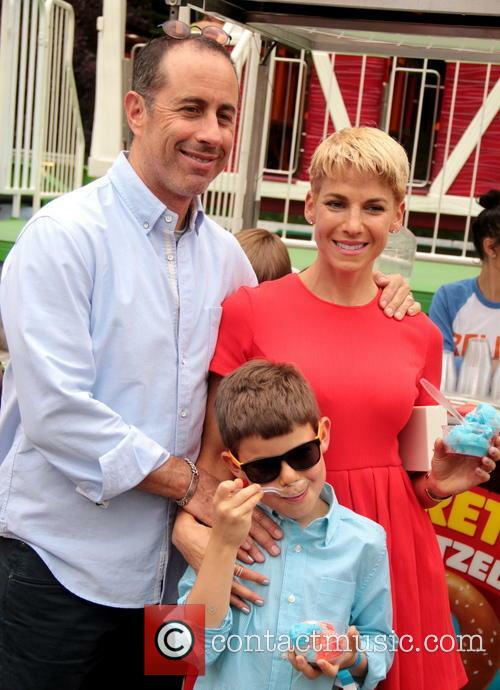 Jerry Seinfeld Doesn't Have Autism. Just So You Know. 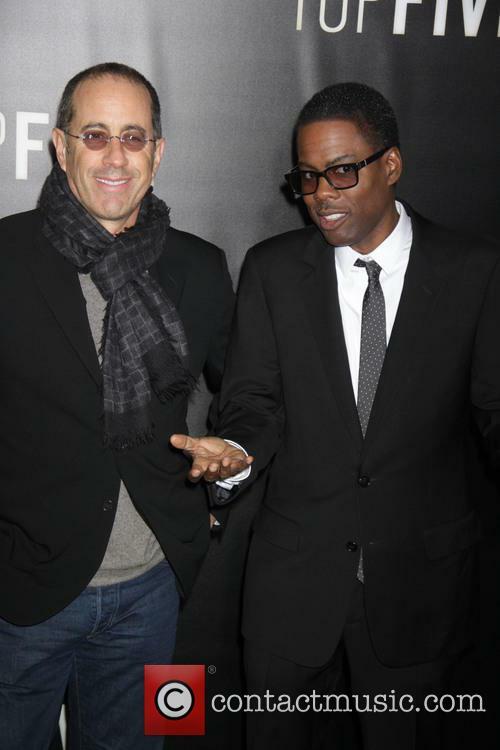 Jerry Seinfeld has gone back on remarks he made to Brian Williams. Jerry Seinfeld as moved to qualify his remarks about possibly being autistic - basically confirming that he isn't autistic. The 60-year-old writer and comedian had said on NBC Nightly News that he might suffer from the disorder, though later went back on the statements during an interview with Access Hollywood's Billy Bush. "I don't have autism, I'm not on the spectrum," he said. "I just was watching this play about it and thought, 'Why am I relating to something? ... I related to it on some level. That's all I was saying." 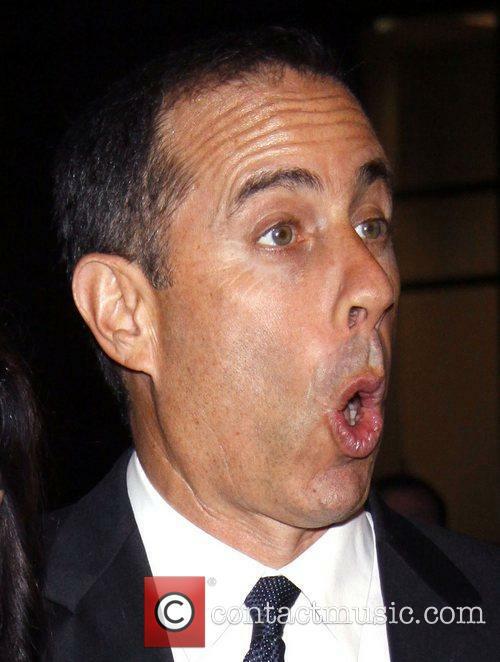 Continue reading: Jerry Seinfeld Doesn't Have Autism. Just So You Know. 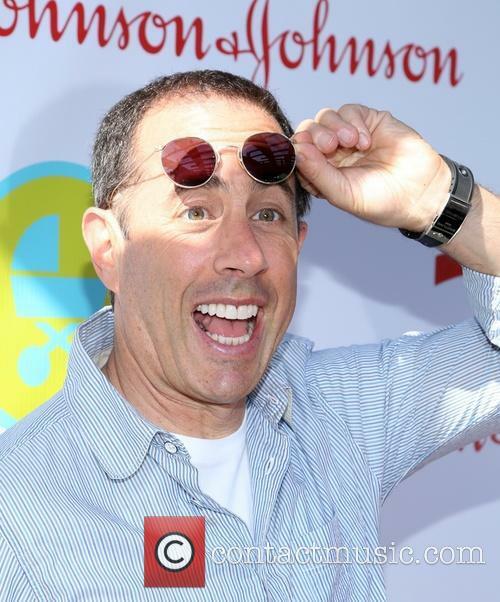 Continue reading: Jerry Seinfeld: "I Think I'm On The Autism Spectrum"
On Monday (Sept 15th) Seinfeld took to the web series' official Facebook page and shared that Rivers was expected to be one of his celebrity guest on the first episode of the new season, and the foul-mouthed star was "thrilled" about it. 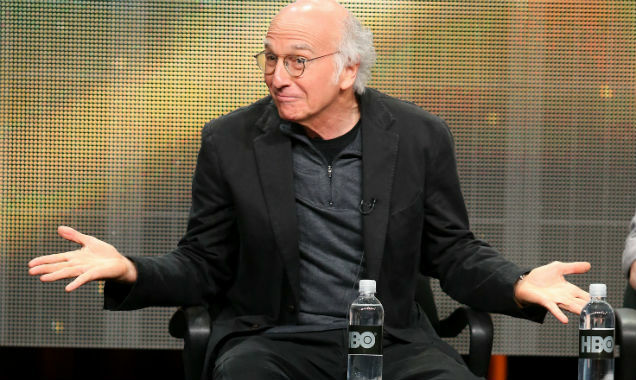 Larry David will begin previews of 'Fish in the Dark' in February 2015. Larry David, the co-creator of Seinfeld and star of HBO's 'Curb Your Enthusiasm', is to make his Broadway debut at the age of 67-year-old in 'Fish in the Dark', which he has also written. Previews for the play will begin on February 2, 2015 at the Cort Theatre, with the opening night set for March 5. 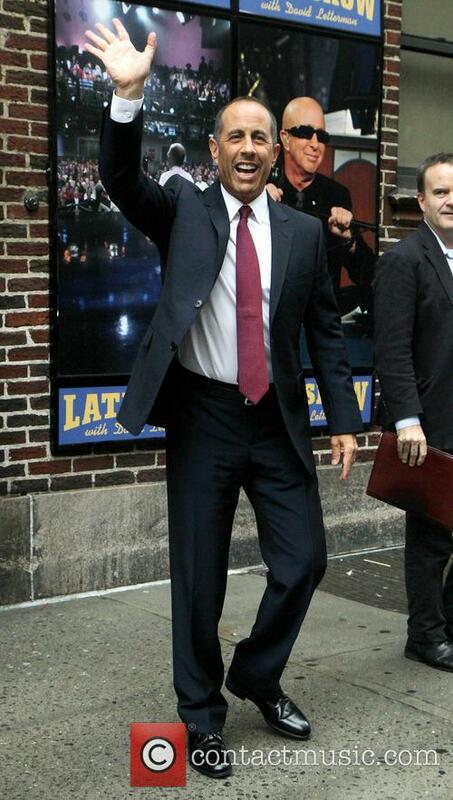 As with Curb, it looks as though David will be playing himself - or a version of himself - in the play. After a 19 month hiatus, Louis C.K. 's Emmy awarding winning comedy "Louie" returns for its fourth season. 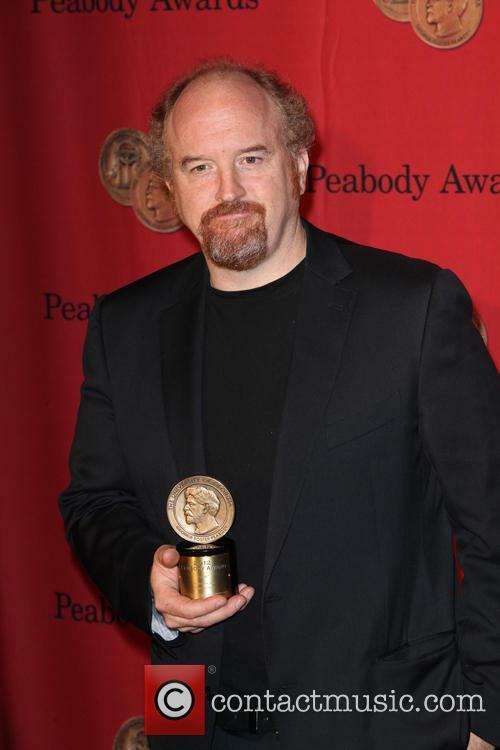 After 19 months off the screens, multi-Emmy award winning Louis C.K. has returned to his star in his FX comedy, “Louie.” Creator, lead, director, editor and show-runner, the show is almost entirely orchestrated by C.K., and has his signature style written all over it. 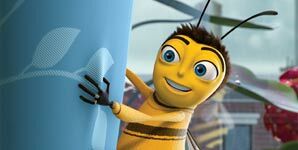 The title character is partially based on C.K., although their lives are worlds apart. The Louie of the series is a struggling stand-up comedian, father-of-two, who is regularly reminded that he is the perpetual underachiever. The two episodes aired, “Back” and “Model” are both exaggerated reminders of this. John Pinette, the comic best known for his stand-up acts 'Still Hungry' and 'Show Me The Buffet' died on Saturday (5th April) at the age of 50. 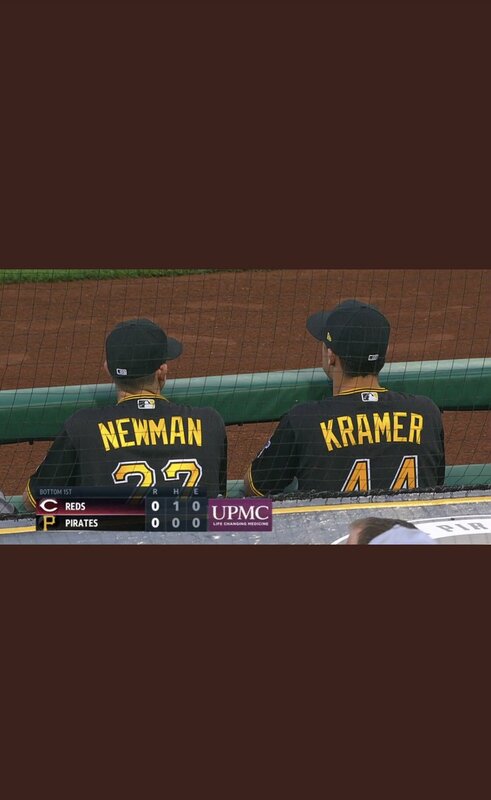 The comedian was discovered in his Pittsburgh hotel room and his cause of death has been ruled as due to natural causes. 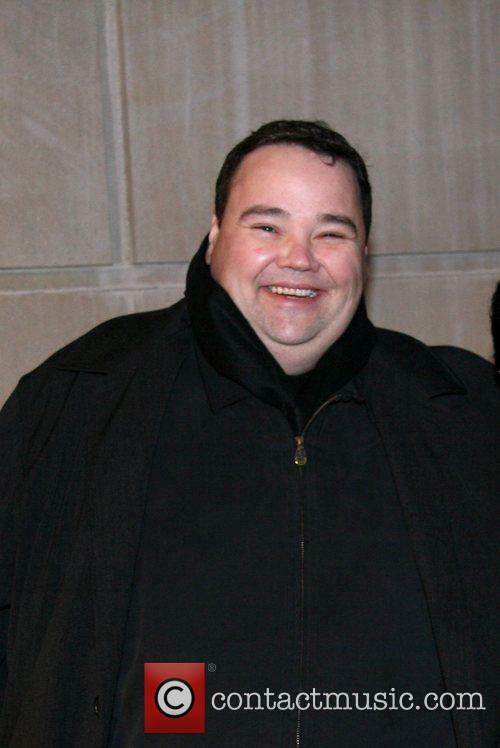 Comedian John Pinette has died at the age of 50. The Boston born comic was found dead on Saturday in his Pittsburgh hotel room, his manager has confirmed to numerous media outlets. John Pinette at Caroline's Comedy Club in New York in 2007. Pinette was discovered by a family member and hotel security after dying of natural causes, the Pittsburgh Post-Gazette reports. Allegedly a female relative grew concerned about Pinette after she did not hear from him for an extended period. It appears Pinette was in the city to attend a wedding. The relative in question contacted hotel security and upon entering the hotel room discovered the comedian's body. Appetites were well and truly whetted; the rumor mill was in full flow. Yes, the sighting of Jerry Seinfeld and Jason Alexander – stars of America’s favorite comedy, Seinfeld – outside Tom’s Café in New York brought back the hysteria of the 90s sitcom, as fans and media outlets alike attempted to guess the reason behind their meeting. 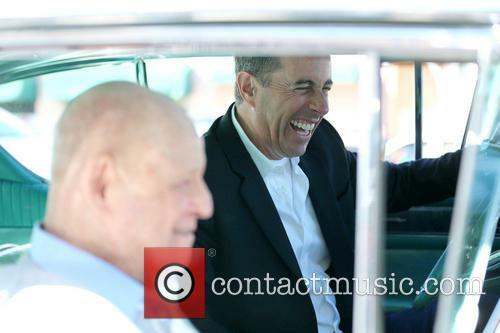 But the Comedians in Cars/Seinfeld/Superbowl advert mash-up – is it turned out to be – wasn’t brilliant. It’s difficult to pin why or how it wasn’t brilliant, but something was amiss. Perhaps it was the hype: Jerry was answering questions when he appeared on WFAN’s “Boomer & Carton” show, hinting at the project. Something big's on the horizon. It’s been on the cards. Seinfeld did an AMA on Reddit in which he hinted at a secret project with Larry David – another one of the brains behind the phenomenal success of 90s sitcom, Seinfeld. Then he was pictured talking to Jason Alexander outside the iconic Tom’s Café, NYC. 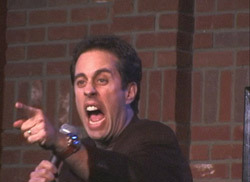 What the hell is going on Jerry Seinfeld? Seinfeld was in the mood for answering questions when he appeared on WFAN’s “Boomer & Carton” show. Usually so tight-lipped, it’s hard to imagine he had any other intention of whetting the public’s appetite for a Seinfeld-esque return. 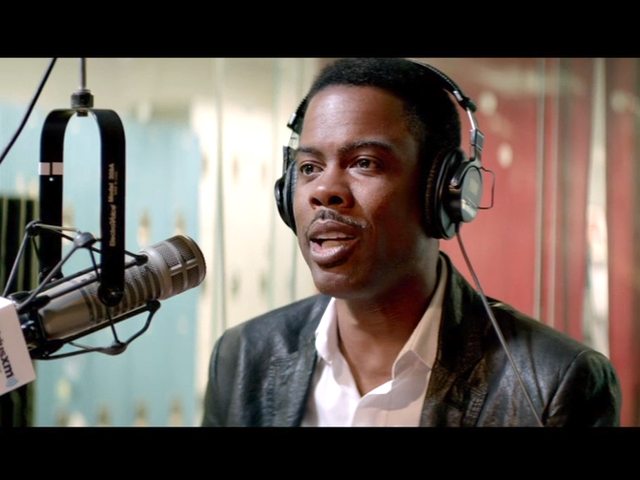 New project by the beloved comedian keeps fans and the media guessing. Jerry Seinfeld is keeping his new movie or video project irritatingly secretive, but he did drop some hints about the cast and premise. 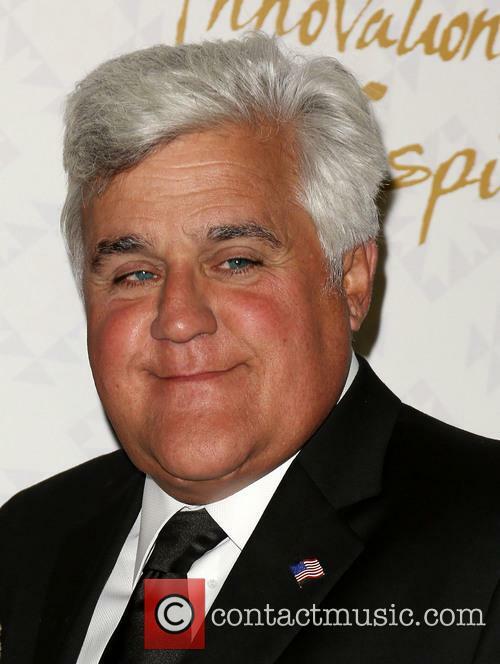 Seinfeld is keeping things hush-hush for the most part, although he revealed that his Seinfeld co-star Jason Alexander will appear in it as George Costanza, "the short, stocky, slow-witted bald man" he played on the NBC sitcom from 1989 to 1998. In addition, USA Today reports that Seinfeld co-creator Larry David is involved, though he will work strictly off-camera. Seinfeld is working on a new thing and that's pretty much all he's willing to say. The buzz around the possible mini-episode (or whatever it turns out to be) started when Seinfeld and Alexander were spotted outside Tom's Restaurant in Manhattan earlier this month. On the show, the diner was a stand-in for Monk's Cafe, where Seinfeld's characters often met for meals. Of course it’s not definitely coming back, but it’s a laugh to talk about Seinfeld making a return to screens, and Jerry Seinfeld being spotted with Jason Alexander outside the iconic Tom’s Café in New York is a great place to start. Lucky Twitter user and “Thai Food Enthusiast” @ClubAliP spotted the pair and subsequently snapped them. She (the person in the picture is a female, but we don’t know if she’s a women) then uploaded it to Twitter. Jerry Seinfeld and Jason Alexander helped make Tom's Restaurant a internationally-known hang-out when Jerry, George, Krammer and Elaine used it as their regular haunt on hit 90's sitcom Seinfeld. 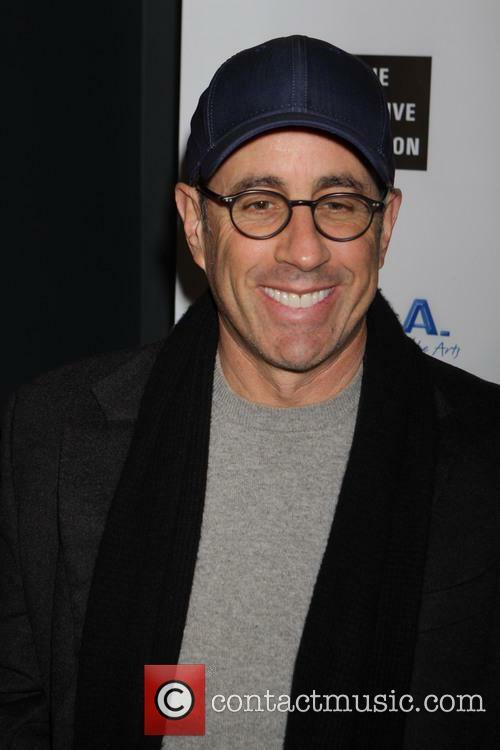 On Monday, 13 January, Jerry and George (who was played by Alexander) visited their old haunt once again, prompting rumours of a possible Seinfeld reunion. It wasn't just Seinfeld and Alexander who were there either, as series co-writer and Curb Your Enthusiasm mastermind Larry David was also allegedly spotted at the dinner, as was a camera crew catching their actions - or at least Jerry and Jason's. This was clearly no chance meeting and the presence of the camera crew has only escalated rumours that a follow on or potential spin off for Seinfeld could be on its way, however the more likely explanation is that the two were filming something much less exciting. 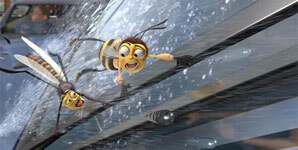 Rand Paul clears the vents before Christmas Day. 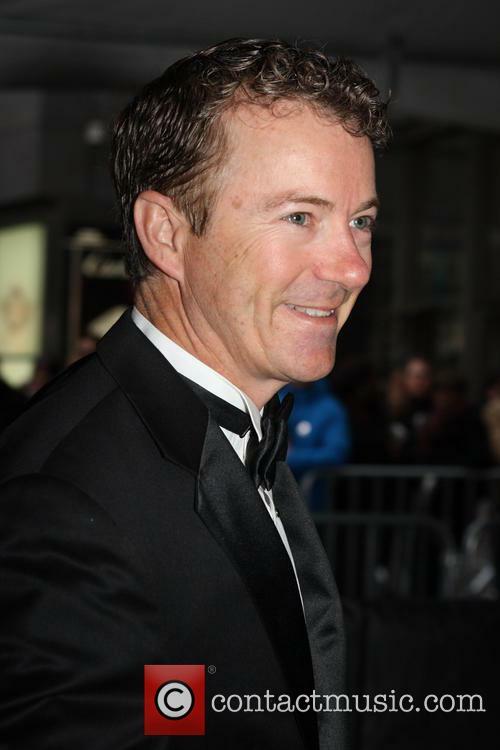 Senator Paul Rand has launched a barrage of tweets into the Twittersphere, airing his fury over Washington on Monday. The Kentucky senator announced via his Twitter account that he was honouring the Seinfeld annual tradition of Festivus by "airing his grievances." Sen. Rand Paul Celebrated Festivus In Style. For those who don't watch Seinfeld or live in America, Festivus is the atheist's response to Christmas popularised by the US sitcom. An antidote to the inevitable festivity and cheer, Festivus was born from the family tradition of the show's writer Dan O'Keefe and incorporated into the script. 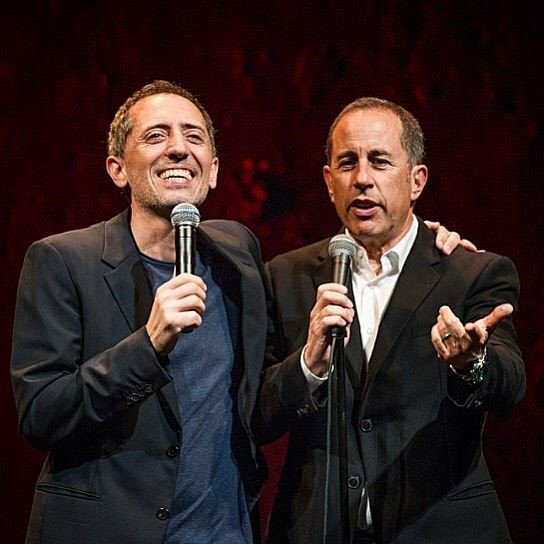 Jerry Seinfeld Bemoans Mets Fans' "Terrible Manners"
Jerry Seinfeld – America’s biggest comedian and most probably the Mets’ most successful fan – has condemned the behaviour of the Citi Field crowd, comparing them to five-year-olds as they booed players at the 2013 MLB All-Star Game. 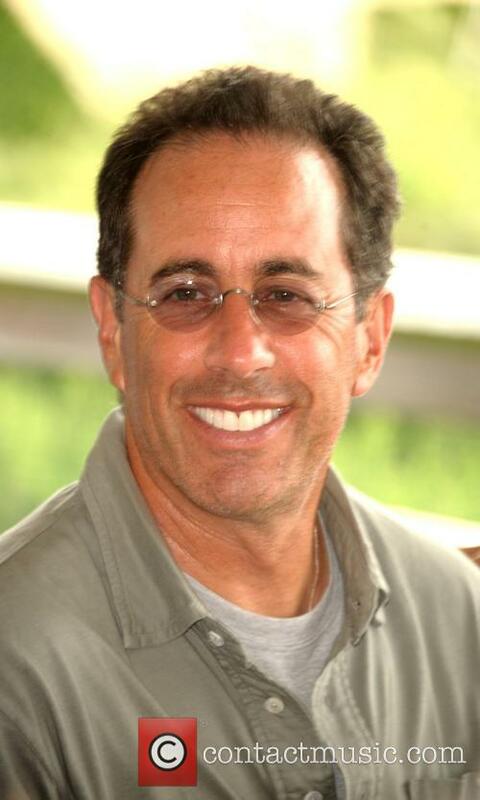 Continue reading: Jerry Seinfeld Bemoans Mets Fans' "Terrible Manners"
There’s no hidden premise, no hidden meaning. 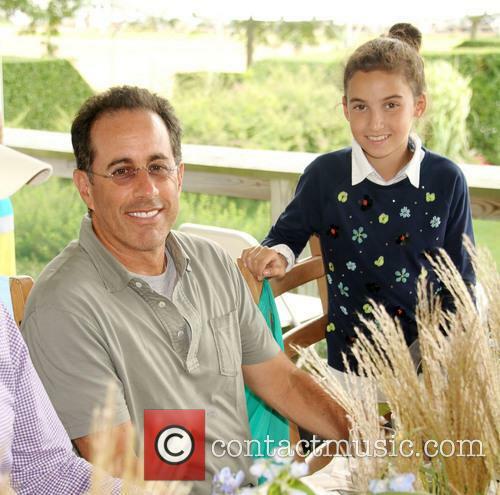 Jerry Seinfeld’s latest project comprises him, a fellow comedian, a car and some coffee. The cars are beautiful things – all vintage and expensive looking – and the chats are nothing less than hilarious and engaging. Season 1 included gusts like Larry David, Ricky Gevais Jerry’s Seinfeld costar Michael Richards, who played Kramer on the show so masterfully. Seinfeld’s and Richards chat is something to behold; it’s genuine and touching. A real mastery of ‘chat’. Of season two, Seinfeld said: "I know these people, and this is it — this is what they're really like. You walk out on a talk show, you know, 'I'm on here for eight minutes; I want to make sure I tell a funny story or do an interesting anecdote.' You're not just going to be sitting there tapping a coffee stirrer on the table, but you can do that on this show. 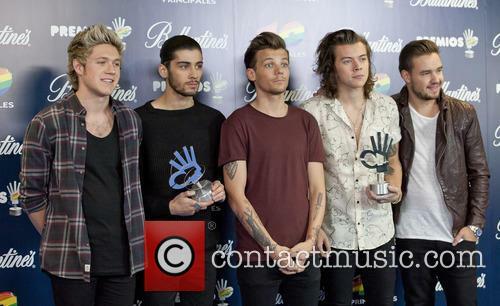 So nobody feels that pressure to perform, and I do feel like I am capturing their true demeanor and energy." If you like old cars, comedians OR coffee, then you’ll have already seen season 1. Other highlights include Bob Einstein, who plays Marty Funkhouser in Curb Your Enthusiasm. But what fans will be dying to see is the full unedited content, as the shows are just 10 minutes long. "It's simple to shoot, and we do spend a lot of time reducing what is sometimes a two- or three-hour experience down to what I feel is the juiciest 14 minutes of that. I think editing is one of the great luxuries. I think it's one of the things life really needs,” added Seinfeld. @PreetBharara I am a fan of yours as well!